Produced from 1967 to 1974, the original "iron pig" was engineered to meet the driving challenges of America's high-speed freeways, and the grueling off-road terrain of the Australian outback. 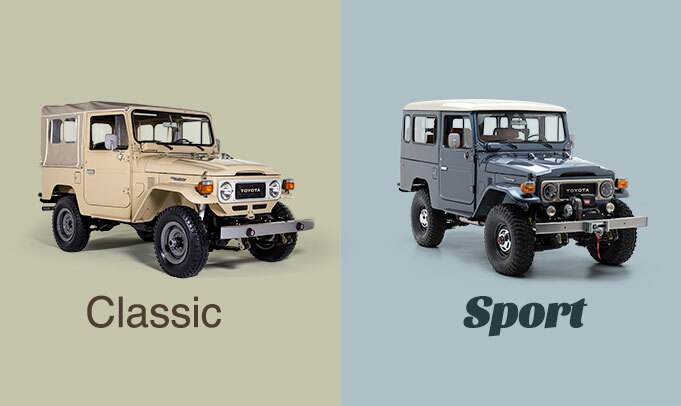 To create the FJ55, Toyota began with the FJ45, and made it faster, lighter and more durable. Under the hood, you'll find a slightly tweaked F-type engine and inside the cabin - comfortable seating for nine. These Land Cruisers are currently under restoration. Click "View details" to see the image gallery of the restoration in progress.